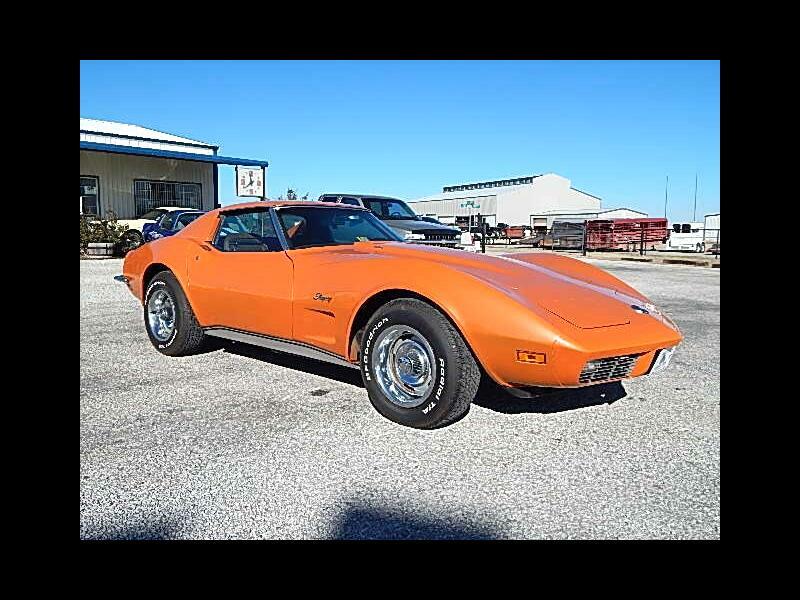 1973 Corvette Stingray Powerd By A LS4 454 with the M21 4-Seed Manual Trans,Close Ratio;A31 Power Windows;Power Brakes;C60 Air Conditioning;Custom Interior TrimLeather Seat trim Wood-Grain accents and special cut-pile carpeting. This car is in the 980 color Orange With Saddle Leather Interior Only 4412 were built with the 454 and only 3704 had the 4-speed trans and the orange was a low production color with the custom interior stop by and check this nice car out. Message: Thought you might be interested in this 1973 Chevrolet Corvette.